Dimplex has launched the Artesia Optiflame wall-mounted fire, combining the world’s most popular electric flame effect with a contemporary design, colour changing display and Bluetooth speaker. Unveiled at this year’s Hearth & Home show in June, the Dimplex Artesia has been developed in response to demand for fresh design options in the wall-mounted category and is set to bolster Dimplex’s impressive range of Optiflame electric fires. 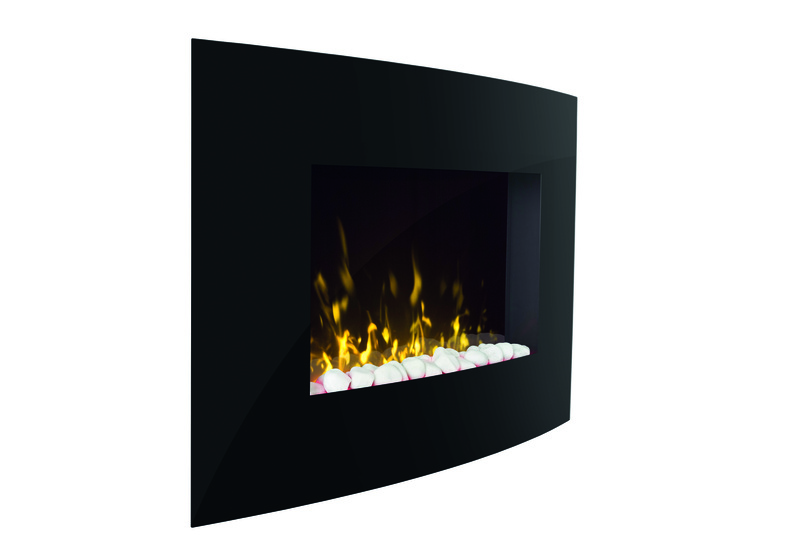 With its sensuously curved, modernist black glass finish, the 2 kW electric wall fire is easy to install and can be positioned anywhere in the living room – or indeed throughout the home - making it a perfect choice for modern properties. It offers a variety of features that will help set the mood, including a colour-changing fuel bed, light intensity controls and LED backlights with a colour-changing display. It also features a Bluetooth speaker, emitting the sound of a crackling fire which works harmoniously with the Optiflame effect to make the illusion complete. The speaker may also be used to play out music from Bluetooth connected devices. As with all electric fires, the fuss-free Artesia is 100% efficient at point of use and customers can benefit from easy operation, with an electronic thermostat and remote control. Jonathan Smith, product marketing manager for Dimplex said: “The Artesia was one of four new electric fires launched by Dimplex at Hearth & Home, giving retailers a unique product for those who want the visual appeal, sound and ambience of fire, coupled with all the hassle-free flexibility and safety of an electric model." The new Dimplex Artesia (product code ART20) measures 620mm H x 900mm W x 215mm D and is part of the Dimplex Display & Demonstrate collection, available exclusively to retailers with showroom premises.